Photogenic animals, from polar bears to people, aren't the only creatures under threat from global climate change. A new review led by UC Berkeley suggests the phenomenon threatens parasites with extinction, which could have big consequences for ecosystems. "This is the first comprehensive review of how climate change may affect parasite biodiversity, from the point of view of parasite conservation," said Carrie Cizauskas, who led the research as a postdoctoral affiliate in the lab of Wayne Getz, a professor of wildlife ecology in the Department of Environmental Science, Policy and Management. Colin Carlson, a graduate student in the same department, is co-lead author of the review. Previous work from this group has called for further research into parasite vulnerability from parasites' perspectives, rather than primarily focusing on hosts, and also outlined ways to potentially conserve parasites. In the new study, the authors outline actionable items for researching the vulnerability of parasites. A forthcoming review from Cizauskas and Carlson attempts to quantify these parasite extinction risks using existing data and modeling. 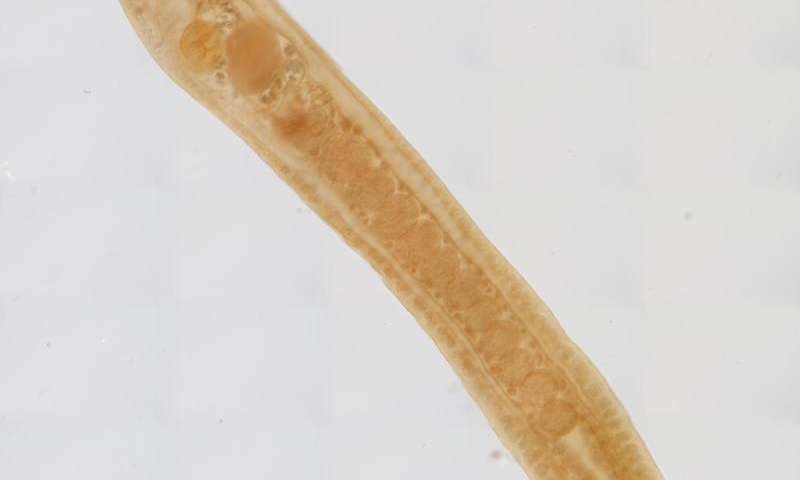 "Ultimately, our goal is for this review to act as a catalyst for further research efforts and discussions regarding the important and little-addressed topic of parasite vulnerability in the face of climate change," Cizauskas said. Do parasites evolve to exploit gender differences in hosts? The only parasites to die from Climate Change, will be those in the AGW Cult, when all the FAKE "science" is exposed and they are handed that cup of special Kool Aid, by the High Priests, like False "Profit" Al. I wonder whether those who are wringing their hands over this know the difference between "parasites" and "symbiotes"? And monkey is babbling hot air for evidence as usual yes ?? "When the only tool you have is a hammer, every problem looks like a nail." When the only tool you have is someone else's cliche, what is that?